April 2, 2011 – Glen Helen, CA: Kevin Sacalas took 1st place last weekend at the Lucas Oil Regional Short Course race held at Glen Helen Raceway. Sacalas dominated the morning practice and qualifying heats before claiming the podium in the final race of the day. Throughout the morning runs there was a 3 way battle between 2010’s King of the Hammers, Loren Healy, HammerKing’s Dave Cole and Big Ugly’s, Kevin Sacalas. It all came down to the final race of the day. For the first few laps, Healy held the lead with Kevin a few car lengths back and Dave Cole in the mix. At about the 4th Lap, Sacalas gained on Healy and the two drove nose to tail for almost a full lap before Sacalas took the inside line on a turn as they crested a tabletop side by side and Kevin and Loren aired out their cars. As the cars came back to earth, Sacalas’ front passenger tire landed on Healy’s front driver tire. Sacalas was able to continue into the turn and Healy momentarily struggled to regain control of his car. Sacalas never looked back. He held his lead for the next 10 laps to take home the checkered flag. 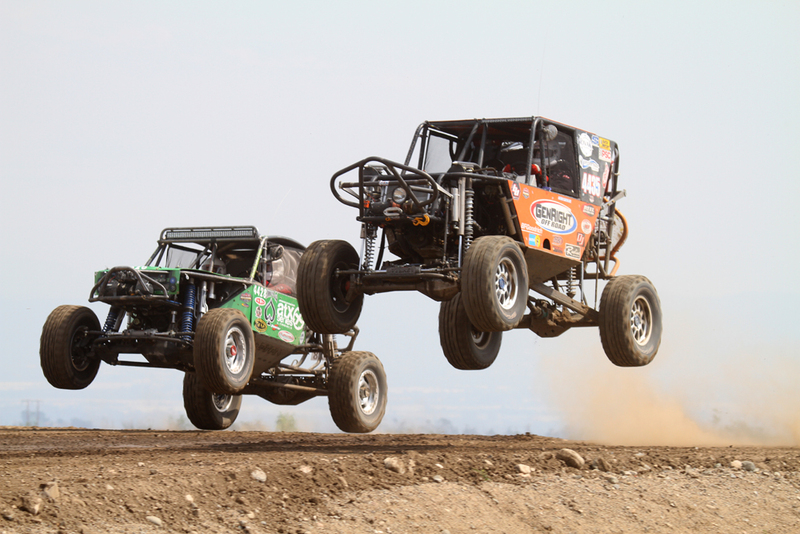 Lucas Oil’s Regional Short Course race was actually the first race ever for Sacalas’ 2nd Ultra4 car that fans refer to as Big Ugly 2.0 in reference to Sacalas’ original Ultra4 car which was affectionately known as Big Ugly. Big Ugly 2.0 was expected to debut at this year’s 2011 King of The Hammers, however the vehicle suffered a catastrophic transmission failure hours before the race. Since then, Sacalas has swapped his signature manual transmission for an automatic Hughes Transmission. 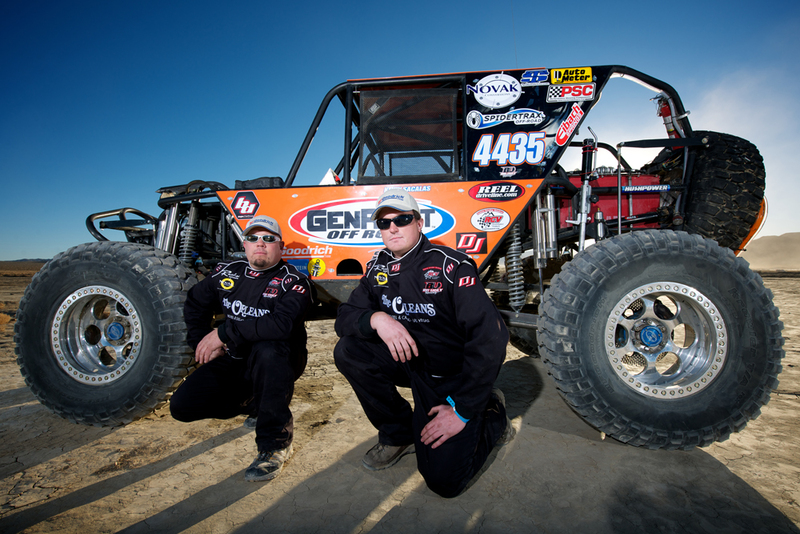 The transmission came highly recommended to him by his team member and sponsor Tony Pellegrino of GenRight Offroad who placed 2nd at this year’s King of The Hammers running a similar transmission. When asked about his victory, Sacalas said, “It felt great to finally show what this car is capable of. The Hughes transmission worked flawlessly and we didn’t have a single issue with the car all weekend. I’m excited to run it at full speed later this month at the Silver State 300.” Kevin Sacalas intends to run the Ultra4 Series this year and Best in The Desert’s Silver State 300 is the next race in that series. Kevin Sacalas and Big Ugly Racing would like to especially thank GenRight Off-Road for agreeing to extend their sponsorship beyond the Ultra4 Series to include the Lucas Oil Short Course .